Our three homes are sculptural creations that integrate with nature and are built with natural materials, fully embracing the delicate balance between nature and design, left open to the elements and salty breeze. The land here determines the layout as the distinction between the inside and outside world fades away in a communion between the sea, rocks, pounding waves and distant shores. 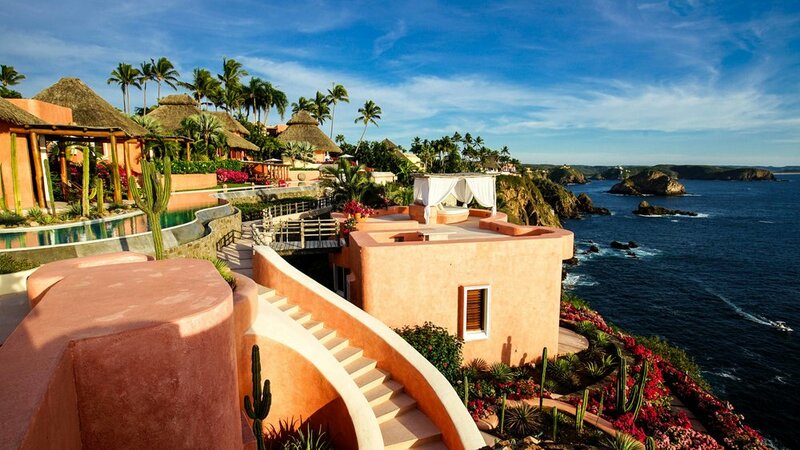 An architectural gem with a cliff-side infinity pool, three bedrooms, a majestic open palapa area and vibrant murals. Panoramic oceanfront views with bougainvillea gardens and meditation pathways, a 200-foot infinity pool, breeze-swept sunbeds and an elegant palapa area. 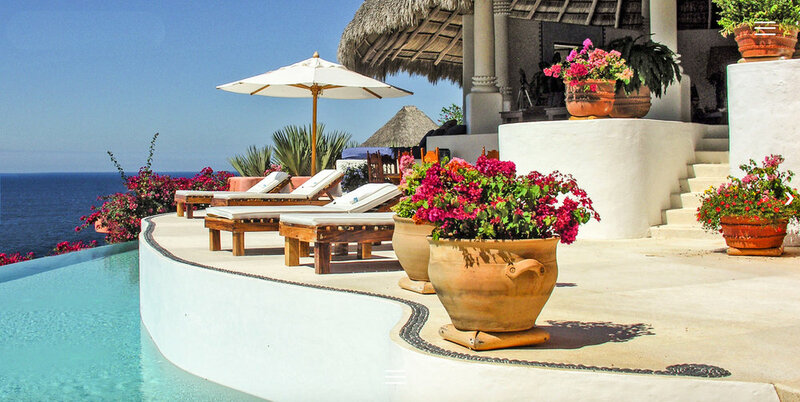 A traditional Mexican hacienda-style home with an open courtyard and artistic motifs, panoramic coastal views, a swimming pool and four bedrooms. Our luxury estate is tucked away on its own clifftop peninsula, wrapping around the coast with unique 270 degree views and organic pathways linking the three homes. The three properties can either be rented individually or as an entire estate and in total feature ten to eleven bedrooms plus full in-house service, staff and amenities. Meals are cooked by the estate’s talented chef whose menu features freshly-sourced market ingredients, local dishes and delicious seafood – and of course, a margarita or two.